Infuse linen and freshen your home with this uplifting botanical blend of pure lemon balm and sea salt. Long-lasting citrus spray, neutralises odours and restores balance throughout the home. 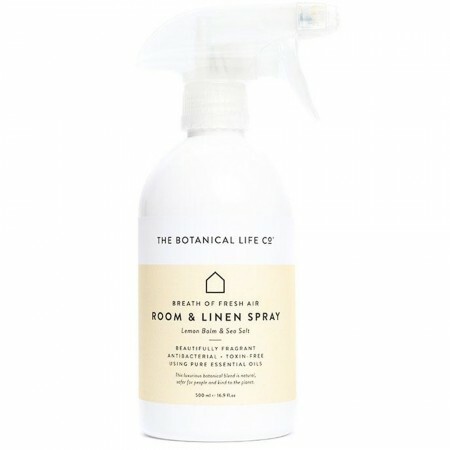 Ideal for spritizing directly over linen, bedding, soft furnishings and around the room for a fresh, clean scent. Perfect for spritzing over clothes before ironing. Fresh scent of Lemon Balm and Sea Salt. An excellent alternative to chemical based fresheners. Aqua, arrowroot, pure essential oils- lemon balm, lemon and lemongrass, sea salt, potassium citrate, potassium sorbate.